This is what turned out to be a 6,000 gallon koi pond. I started digging many years ago, and at the urging and help of my friend Chris Matsushige, recently finished it up. 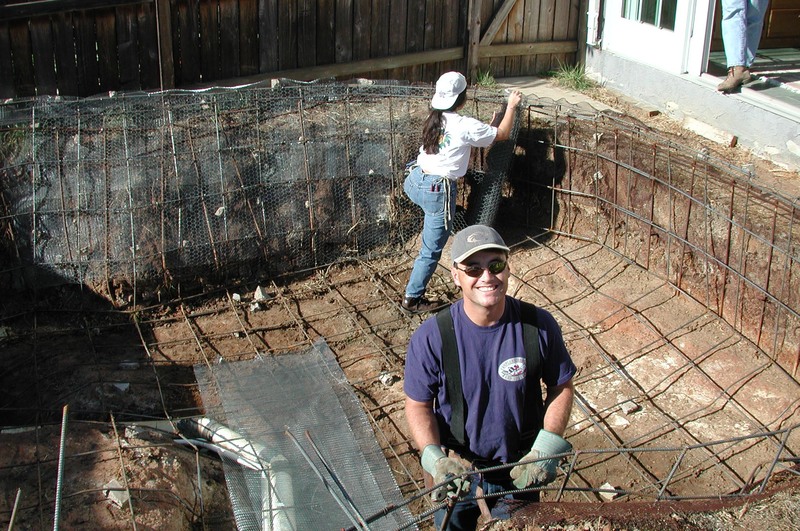 Chris is a concrete expert, and has traveled all over the world installing custom concrete works (including the kelp tank at the Birch aquarium at Scripps). He is an exceptional artist, and can carve concrete to look exactly like rock or wood. After our concrete pour, guests who came to the house all asked what kind of gray wood it was on my deck - not realizing it was actually carved concrete! The deck was even more convincing after it was stained and colored. Chris was concerned that despite the intense use of rebar, the deck might crack with alot of people standing on the edge during a party, so he insisted on a support post in the pond. This has become my favorite part of the deck because he disguised it as a tree stump. It looks exactly like an old rotting tree in the pond - complete with peeling bark! 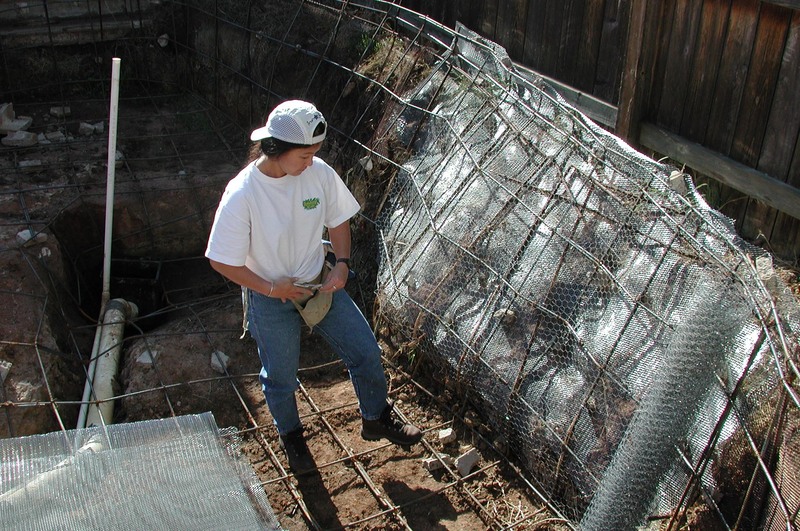 Chris is finishing up tying rebar. It's good to have friends! !